A few months ago I showed you my MeeGo Tablet UI. 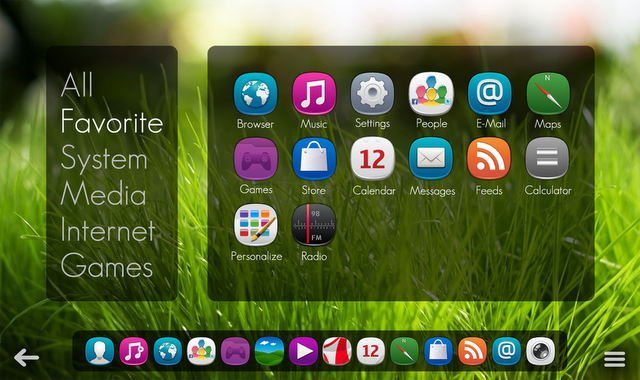 Now I would like to show you my next MeeGo Concept. This is just a teaser. If I see positive feedback, I will come up with more details. Most of you know that I am a Windows fan. I love Metro UI and all the things about it. Just check some of my previous concepts. 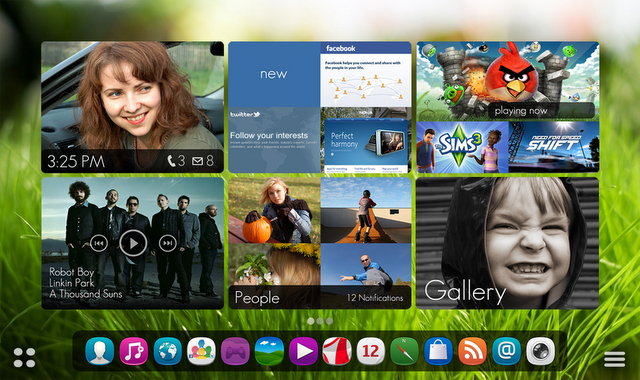 But I also like MeeGo, especially the N9’s Swipe UI…It’s simply amazing.. So, I took some elements from MeeGo Harmattan, Symbian, and Metro. And this is what I’ve created. 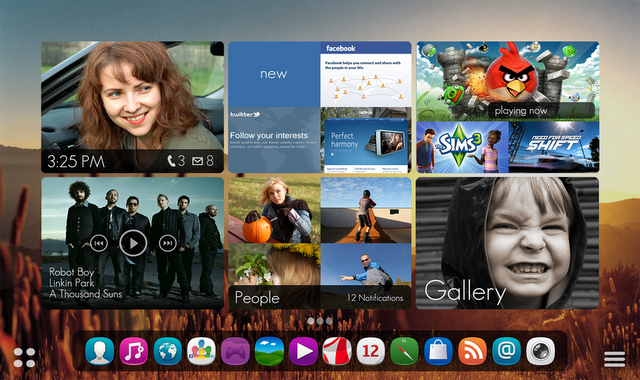 Home Screen is made of the Dock that shows all opened/pined applications and the SmartView (Smart Cards). Check my older concept to see what Smar View is about. There’s also the App menu’s button in the left corner and Home Screen Settings’ button in the right corner. Smart View is not just about switching between apps; Smart Cards let you interact with a part of application. For instance, switch to a particular window in a web browser, change song, see notifications, etc. Most of the users use regularly only about 6-10 applications. 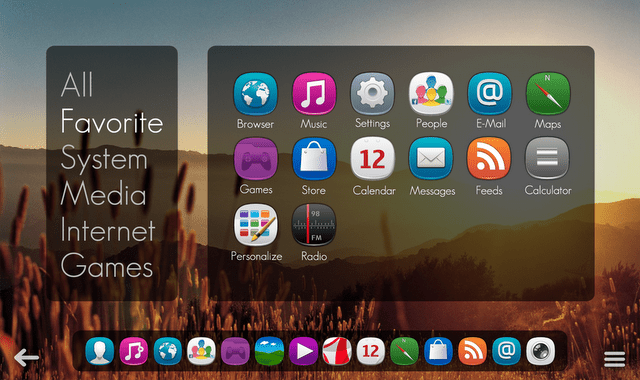 In my concept, you would be able to pin your favorite apps to your Home Screen. Pinned apps would be always showed in the first positions, even if they are not running. To launch a running apps just tap on the card with 2 fingers, to interact with a part of application use 1 finger. To see more content just slide up from the lower edge of card. Smart View would normally show 6 cards on 1 screen. To move to another screen just slide with 3 fingers, or click on an icon in the Dock to jump to a particular Smart Card. Double click on an icon in the Dock launchs app immediately. You can also zoom-in to see bigger cards or zoom-out to see smaller cards. As you can see, there’re many gestures in my MeeGo Concept. It might be a little bit complicated to remember them all, but I believe user would get into it really quickly. I think, it’s really innovative!!! The last thing I want to show you today is an Application Launcher. « Videos: MeeGo-Harmattan app demoes (Nokia N950) – Sophie Cam, iStunt2 and more!